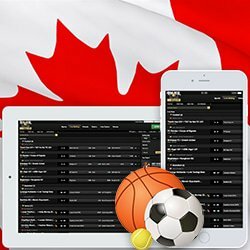 Sports betting in Canada has never been easier. 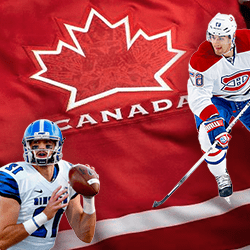 Grizzly Gambling provides up to date information for the latest online sportsbooks with accept Canadian players. 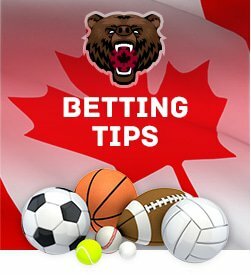 We review bonuses, banking methods (deposit and withdrawal), security and reputation of each of the sports books in this Section - in addition we also cover all Canadian online sports betting news. Check back weekly. Happy wagering! 1 Spinpalace Sports 2017 Spin Palace, the popular Canadian online casino, recently launched an attractive new sports book for Canada. Bet now! 2 Bodog 2004 Most established sportsbook in Canada with rapid fast payouts. $200 Bonus. Bet now! 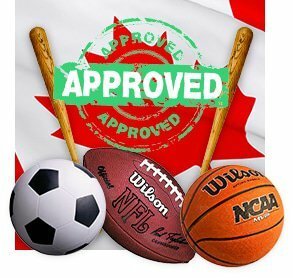 3 Sports Interaction 1997 Hands down, Canada's oldest and most popular betting site! $125 Bonus. Bet now! 4 Bet365 2001 One of the largest sportsbooks in the world, now available to Canadians. Bet now! 5 888 1997 Great odds, good layout and always a reliable bookmaker. Super promotions for newbies. Bet now! One thing is for sure, Canada's sports betting fans span province to province. We are a hockey nation, but we also love football, baseball, basketball and other sports! Below you can learn more about betting on specific sports. Canada is home to hockey--no doubt about it. 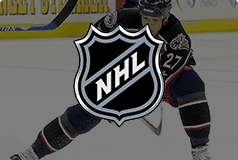 When it comes to NHL online betting, you want to be passionate about what you're putting your money on. If you're a Canucks or Maple Leaf fan, or anything in between, we've got the best information, right at your fingertips. Despite hockey being our nation's most popular sport to watch and play, Canadians wager more on NFL sports betting than any other sport, including hockey. 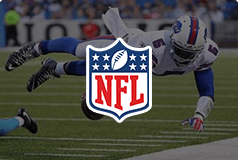 Put your knowledge to the test with our helpful tips and advice, and place your next bet on the National Football League. Looking for a slam dunk on your next wager? 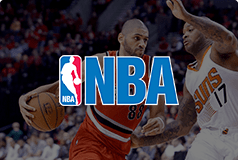 Get the best NBA sports betting odds from hand-picked Canadian Sportsbooks, and have fun while doing it. Take advantage of our professional sports tips to win on the next Toronto Raptors game or any other NBA basketball team. 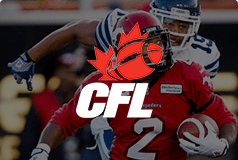 Football in Canada is a little different from its American counterpart, but the CFL proves very popular for many Canadian sports bettors! Game play is very exciting, and culmunates in the Grey Cup, our country's biggest sports and TV event. Get our best tips here! Major League Baseball is the oldest of the four major league sports in Canada and the US. 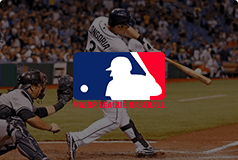 Betting on MLB is a huge pasttime for many, and if you're looking to swing into the action regularly, you've come to the right place. Test the strength of your favourite team out on the diamond! MLS Soccer has some of the most passionate fans out there! 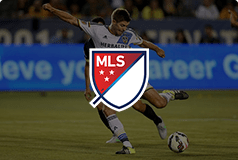 Whether you're cheering for the Vancouver Whitecaps or Toronto FC, we've got you covered with the best soccer betting odds and tips. Try your luck on the next match while watching the action unfold on the field! 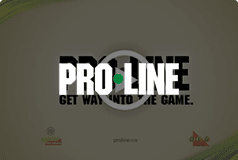 Many Ontarians often put their knowledge to the test with Ontario's fixed-odds sports betting site, Pro-Line. It offers parlay betting on 3-6 events, but you must be correct on all of your choices to leave a winner--a disadvantage to some of the other options on the internet. If you're living on the West Coast, BCLC is the best sportsbook online available! You have to place a bet on the outcome of two to six sporting events in a parlay wager, as single-game betting is still not legal. To come out a winner, all of your predictions must be correct. 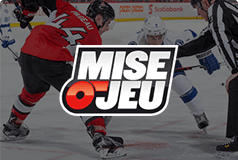 Quebec's Mis-O-Jeu is another provincial fixed-odds online sports betting site that gives the Quebecois an opportunity to place a parlay bet on three to six sporting events. Don't forget that every one of your picks must be correct in order for you to leave a winner! If you live for sports and want to add to that action and excitement, there's nothing like online sports betting. No matter if your game is hockey, football, basketball or even alternatives like MMA, tennis and horse racing, you can find odds on the biggest and best events in the world of sports. In Canada, we have a unique advantage when it comes to sports gambling. Not only can fans get their sports betting action through their provincial lotteries but also from a long list of online sportsbook operators, who welcome Canadian customers. 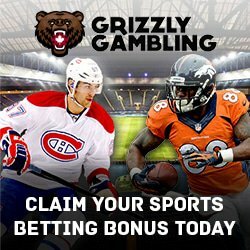 Whether you're a seasoned sharp or just beginning your handicapping career, let GrizzlyGambling.com be your home to everything online betting has to offer. Just because you call the "True North" home doesn't mean you're limited to wagering on only Canadian sporting betting events. 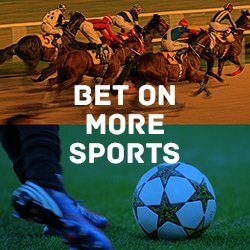 Online sportsbook operators bring the entire sports world to you, offering odds on the all the most popular North American events and also some of the biggest global gambling sports like soccer and tennis. Here's just a glance at what you can wager on: NHL and International Hockey, NFL and College Football, NBA and College Basketball, Baseball, Boxing and MMA, Soccer, Tennis and Golf, Horse Racing & Auto Racing. WHAT TO LOOK FOR IN ONLINE BETTING SITES? Sports and odds menu: Variety is the spice of life, so look for a book offering multiple betting options on numerous sports. Bonuses: Most online sportsbooks offer bonuses in some form or another, with deposit/reload bonuses, free plays, and money-back comps. Banking: You can't play if you don't pay, so take a close look at how easy it is to fund your account as well as withdraw winnings. Security and infrastructure: Not only do you want a book that keeps your information safe and secure but also one that isn't going to crash during the biggest sporting events. Reputation: Investing in a reliable sportsbook with a proven track record of customer satisfaction is almost as important as which team you're betting on. IS SPORTS BETTING REALLY LEGAL IN CANADA? Unlike the United States, where sports betting is strictly prohibited outside of states like Nevada and Delaware, Canada offers limited legal sports gambling through its provincial lotteries with parlay systems, requiring Canadian bettors to wager on at least two games at once - needing both to win in order to pay out -which drastically decreases the odds of winning while creating a massive win percentage (hold) for the lottery corporations. There is a movement to allow single-game wagering in Canada, the same found in Las Vegas, starting with Bill C-290 which was passed unanimously in the House of Commons back in 2011 but hit opposition from the Senate after professional sports leagues, namely the NHL and MLB, voiced their disapproval. Rather than snuff out the bill immediately, which would have marked the first time ever a unanimously-passed bill failed to get senate approval, the senate simply ignored the bill and let it die a slow death over three years. However, there is still plenty of interest in single-game wagering and more gambling bills are expected to follow in the future. When it comes to wagering online, this is a legal grey area in Canada. Laws prohibit taking money and wagers inside our borders, such as illegal bookies, but there is no equivalent to the U.S. Wire Act that specifically prohibits Canadians from betting with online sportsbook operating offshore or overseas. And because these sportsbooks operate outside of the legal derestriction, the government does not see it feasible or financially relevant to shut down or limit these books nor do they prosecute any Canadian citizens for gambling with them. The majority of online sports betting sites will offer bonuses for new and current players. One of the most common is a deposit bonus, which is usually a free play amount based on a percentage of your deposit.Often times these bonuses come with stipulations, like rollover restrictions which require bettors to wager that free play a number of times before it is converted into actual money in their account. Other sites promote their bonuses without rollover rules but do limit the amount a player can receive in free play. Some other variations of bonuses and promotions at online books include money-back specials, giving a bettor a certain percentage of their Gambling wagers back at the end of each week, or sport-specific promos centred around popular events like the Super Bows and March Madness. Referral bonuses are also offered by some online operators, rewarding current customers who helped enroll new ones. In-play or live betting has been around for almost as long as the online betting industry, gaining popularity in European markets and slowly picking up steam in North American over the past decade. In-play wagering allows you to bet constantly-adjusting odds which reflect the action of the game, submerging bettors in their favorite sports like never before. If you're watching the Hockey Night In Canada matchup and one team jumps out to a quick two-goal lead but you know the other side will fight their way back, you can wager on the in-play odds which would offer the losing side at a discounted price, providing added value beyond the standard pre-game odds. It absolutely pays to watch and wager with in-play betting online. The rise of smart phones and tablets have been embraced by the Canadian sport betting community. Bettors can take their online book with them wherever they go and wager on their favorite sports with just a few swipes of their fingers. The simplicity and convenience of mobile sports gambling has overtaken the standard desktop method of betting online, offering quicker navigation of sports betting sites and a new level of discretion and security for gamblers. The development of online language HTML5, which has been integral in the creation of mobile applications and webpages, has birthed new mobile betting software from providers such as PlayTech, BetTech, and BetSys. These advancements allow online betting operators to present their products on a number of mobile devices, automatically adjusting for format and screen size while utilizing touchscreen commands and features. Get familiar with site layout: Know how to navigate between sports and their respective markets, like game odds, alternative spreads, and props and futures. Know their odds process: Most sportsbook use a 30 cent line when it comes to the vig (also known as juice - the price to make a bet), however, it's not always done that way. If you like to bet the opening odds, figure out when they post those overnight odds and for which sports. Take advantage: Canadian sports bettors have long been handcuffed by parlay wagering from the lotteries, so make sure to take advantage of the single-game offerings from online sportsbooks. Manage your money: It is suggested that you wager between 1 and 5 percent of your total bankroll on games, depending on how strongly you feel about a particular play. A bankroll of $1,000 should have you wagering between $10 and $50 per bet. Specials or bonuses: Some sports offer players bonuses, like reduced juice on certain days of the week, or free plays for big events like the Super Bowl. Find out how to take advantage of those specials. Have fun: Sports betting is supposed to be recreational. Don't play beyond your means and always set limits to how much you want to deposit, wager and lose at one time. Pointspreads: Most commonly found in football and basketball, oddsmakers handicap the better team by giving their opponent the calculated amount of points the favorite should win by. Bettors then wager on which team will stay within that range, taking the favorite to win by more than the pointspread or the underdog to keep it closer than the spread predicts. Totals: Oddsmakers calculate the projected total number of points scored by both teams and offer wagering on whether there will be more (Over) or less (Under) points scored than that number. Moneyline: A calculated price on one team to win the game outright. The better of the two teams cost most to wager - a -130 favorite cost $130 to win $100 - while the weaker teams is priced lower - a +130 underdog cost $100 to win $130. Parlays: Bettors can tie multiple wagers together in order to increase their payout but must correctly pick each of those bets in order for the entire parlay to win. 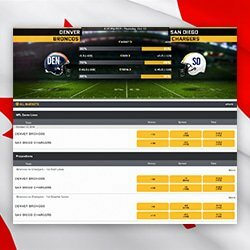 Is sports betting online legal in Canada? Yes and No. Canadian criminal law doesn't prohibit online gambling but it does prohibit betting online outside of licenced provincial lotteries. However, with the most online sportsbooks operating beyong Canadian derescriction, the government does not prosecute those operators or their Canadian customers. What king of sports can I bet on? You nameit, you can bet on it. From hockey to football, to tennis and track and field. Sportsbook operators have expanded their wagering menus to fit the demands of the modern sports fan, reaching to the far corners of the earth for global gambling coverage. What kind of wagers can I make? The most popular sporting events have a myriad of betting options, including pointspreads, totals and outright winner odds. Most markets offer alternative odds as well as quarter and halftime lines, on top of player and team props, and live in-play wagering. Do I have pay tax on my winnings? If you're just a recreational Canadian sports bettor, you don't need to claim your winnings on your tax returns. However, if sports betting is how you make your primary income that you should be filing those winnings each tax season. Can I place wagers on my mobile? Yes. 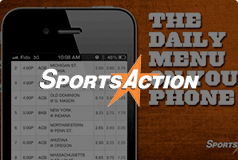 Most online sports betting sites now have mobile - compatible versions of their standard desktop sites. This has actually become the preferred interface in recent years due to convenience and simplicity. Can I gamble in CAD? Yes. Canadian - facing sportsbooks offer all pricing and banking in the Canadian dollar. However, some may use U.S. currency and make the conversion upon deposit. What is the smallest wager I can make? It depends on your online sportsbook. Some offer wagering limits as low as $1 while others require a $5 bet. What is the largest wager I can make? It depends on your sportsbook and the sport you're betting on. The bigger the event, the higher the limits. Some outlining sports that don't see as much betting action have lower limits to protect the book, simply because they don't monitor these sports as closely as mainstream ones. How much do I need to know about each sport to bet on it? You should have some idea of what you're getting into before you put your hard-earned money down. You don't have to be an expert but should feel comfortable/knowledgeable enough to form an opinion. Are international betting sites reliable? Yes and No - depending on where the online sportsbook is located, its history and notoriety. Some offshore books operate in countries with soft gaming license laws, which means they are regulated and monitored less than others. This allows plenty of online books to pop up overnight with little resistance to take action and suddenly close up shop. Some European-based websites have an established track record and customer base, having offered online wagering for more almost three decades. Always do a background check and read reviews before signing up. Bodog is an incredible online sportsbook for Canadians to place a bet on sports. The site boasts with phenomenal customer support, a plethora of promotions, and attractive betting markets. Visit our bookmaker review section for more. One of the best online sports betting sites in Canada is undoubtedly Sports Interaction when it comes to placing a bet on sports. It provides fast payments, in-play betting, and live streaming options on all major sporting events. Visit our sports betting review section for additional information. Bet365 is regarded as one of the best online betting sites in Canada to bet on sports. The online site offers over 10,000 live streams per month and has a marvellous welcome offer along with mobile betting, in-play betting, and more. Visit our sportsbook review section for more info. With more than 10,000 live streams a month, it's no surprise that Bet365 is the best online destination to bet on sports in Canada. The site offers a terrific 100% match up to $200 and provides fast payments with live mobile betting. Visit our reviews section for more information. 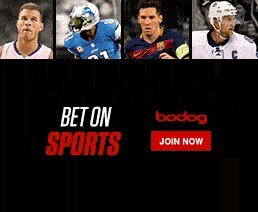 With a phenomenal user-interface, reliable and quick payments, and excellent customer support, it's no wonder Canadian bettors love to bet on sports at Bodog. It also offers more promotions that any other sports betting site. Visit our review section for additional information. Sports Interaction is a top choice for Canadian players to bet on sports. It features a fantastic live betting platform and covers all major sporting events from across the globe. Visit our sportsbook review section for additional information. Spin Palace Sports is considered one of the best Canadian sports betting sites, allowing punters to enjoy mobile betting, in-play betting, high odds, and a wide range of betting markets. Visit our sportsbook review section to find out more. Register with Bodog and enjoy an excellent looking website with no minimum deposit amount. Canadian players will also be treated to superior customer service, quick and reliable payment methods, and a 100% bonus up to $250. Visit our sports betting review section for more information. 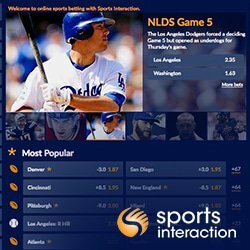 Sports Interaction is a top choice for Canadian bettors, boasting with an excellent list of betting opportunities and a fantastic live betting platform. The sports betting site also comes equipped with a 100% bonus up to $200 to bet on sports. Visit our bookmaker review section for additional info. Bet365 offers live mobile betting, fast payments, and a phenomenal in-play betting portal with more than 10,000 live streams every month. Newly registered players from Canada can also claim a 100% match bonus up to $200 to bet on sports. Promotional terms and conditions apply.